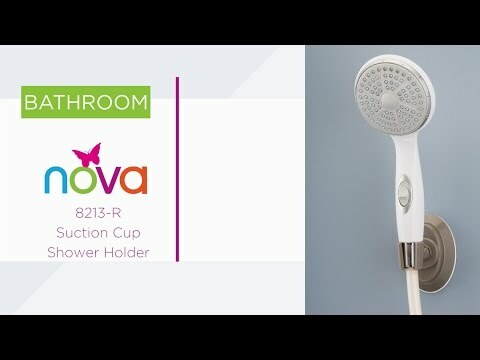 A suction device designed to hold a hand held shower head. Simple to instal, it fits most shower head devices and can be attached to any flat glass, tiled or non-porous surface - no fixings required! Can be re-positioned when required and folded up for storage. Made from strong lightweight plastic. Fits most shower head devices. Replace static shower head to one with ﬂexible hose to put your shower head in easy reach. Can be attached to any ﬂat glass / tiled surface. Quick and easy to ﬁt / repostion when required.